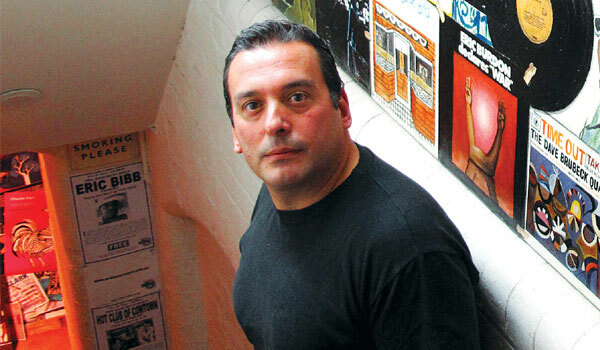 No stranger to controversy, Australian author Christos Tsiolkas has gained a reputation for writing that is explicit and unapologetic. We catch up with him after his stint at the Jaipur Literature Festival, as he prepares for a reading in the city. On readers who find aspects of your work uncomfortable. Please dona��t be afraid of being uncomfortable. To be fearful is to cut yourself off from some of the great experience to be had through art. How do you expect an Indian audience to react to you? Jaipur and India have been a revelation. I find it thrilling and I find it challenging and I find it beautiful. I have been struck by the fierce intelligence and passion of young people. Whether talking about literature, gender, sexuality or culture, I feel that I am listening into a seismic shift where the centre is moving from Europe to Asia. India and Australia share aspects of a colonial history, where we have a vexed but crucial relationship to the English language. I want to write an Australian English not subservient to British English. I think Indian readers understand how crucial that project is. What draws you to characters who are outsiders in some way? For a period, I felt an outsider in Australia. I felt outside the dominant Anglo-Celtic mainstream. I felt an outsider in terms of family a�� it took me a long while to negotiate how to maintain my sense of place in a traditional Greek family while at the same time being true to my emerging homosexuality. And when I began writing, I felt outside a dominant literary world. Now that I am in middle-age I find myself part of the mainstream of Australian literature, I am reconciled and at peace with my family and I have a financial security. But I dona��t think you ever forget the experience of being a�?outsidea��. What have been the most moving reactions to your writing? My greatest happiness was having my father read the Greek translation of my book The Slap and tell me he understood Manolis, one of the characters in the book. Having my father accept my work and lose his fear of what pursuing a writing career might mean for his son, that was the greatest treasure.